We have a great news for the blues fans! 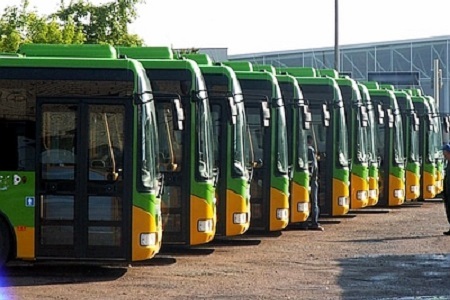 During Suwałki Blues Festival 2019 you will be able to drive by bus, in Suwałki, for free. Thanks to Przedsiębiorstwo Gospodarki Komunalnej in Suwałki all blues fans will be able to move around from one place to another within Suwałki city district for free. There is only one condition! You will have to show one of the following items: either SBF 2019 ID, SBF 2019 T-shirt or a ticket to one of the paid admission concert.